Small-cap multi-metals explorer Avalon Minerals (ASX: AVI) is wasting no time in progressing its suite of projects, all in commodities that are in strong demand. AVI’s portfolio is diversified across commodity type with gold, copper, and lithium projects, located from Scandinavia to South America. The recent addition of its South American gold-copper project could be a real boost for the company as it further diversifies its operations through an earn-in agreement in regards to the highly prospective Bramaderos gold-copper concession in southern Ecuador. AVI is now the only ASX junior to provide investors exposure to Ecuador’s largely untapped resources potential. To start, this is an underexplored country compared to its more fancied South American neighbours, yet it contains some of the most highly prospective terrains for copper and gold. 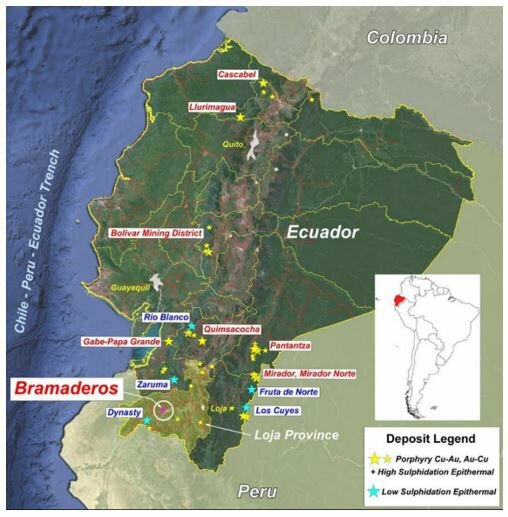 Furthermore, Bramaderos contains fertile mineralised systems with strong potential to host a world class discovery. With a change of presidency, Ecuador is a now mining friendly country, having previously excluded foreign investment, and has seen an influx of companies including Newcrest, BHP and Fortescue all setting up operations. Suffice to say there is no reason why AVI wouldn’t follow suit if it felt it had a worthy enough project. Certainly the highly successful team behind AVI, which was responsible for major discoveries including the giant Tujuh Bujit and Cascabel copper gold discoveries, are hoping for similar success. Of course AVI is an early stage company and investors should seek professional financial advice if considering this stock for their portfolio. The project is considered to be highly prospective for the discovery of large copper-gold systems, backed by historical drill results including wide intervals such as 260m at 0.6g/t Au and 0.14% Cu. Trenching results include intersections at surface of up to 42m at 3.7g/t Au. Whilst, this is a substantial recent move for AVI, there has been a significant amount of newsflow come through since we last updated you on the company back in December last year. Geophysical survey results have come in for its Southern Finland Gold Project’s Satulinmäki prospect and have exceeded expectations, highlighting the potential for a large gold system with considerable vertical extent. High-grade intersections at Satulinmäki include 23.5m at 3.3g/t Au including 9.2m at 7.3g/t Au. Across the border in northern Sweden, AVI has commenced diamond drilling at its 100% owned Viscaria Copper Project outside of existing mineral resource areas. Ground magnetic surveys have better defined the target areas, while detailed structural studies identify additional high grade copper targets. This is a low risk development opportunity for the company that could add significant value to its overall operations given the current copper price environment, which remains solid. 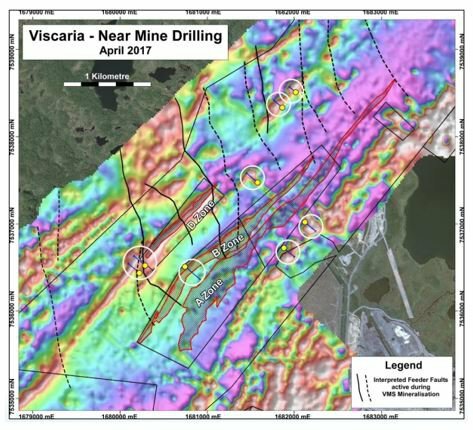 The Viscaria Project, with a mineral resource estimate of 52.4 Mt at 1.2% Cu, has a completed scoping study and is moving towards a Pre-feasibility Study (PFS) and permitting to allow mine development. Assays are due any day now, with positive results expected to gain the right kind of attention. These updates highlight just how diverse AVI’s exploration reach is... and how it is assembling a portfolio of highly prospective projects across the globe and spanning a variety of promising metals. 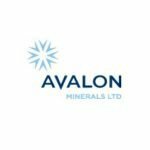 Avalon Minerals Ltd (ASX:AVI | FRA: AL9) continues its hunt for gold, copper, and lithium. Currently capped at just $9.7M, the Top 10 shareholders own over 50% of the company, and the company has approximately $1.6M cash in the bank at last count. When we last updated you on AVI back in December last year , the company was squarely focused on advancing its Viscaria Copper Project in northern Sweden. Since then, it has updated the market with a significant volume of news. Much of it relates to the Viscaria project, but there’s also been highly promising geophysical results from its Southern Finland Gold Project, along with news of the acquisition of the Bramaderos concession in Ecuador. Highlighting just how diverse AVI’s exploration reach is, the company has expanded its operational reach from Europe to Southern Ecuador. 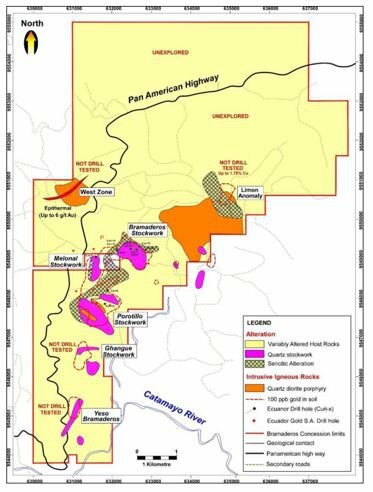 On April 10, AVI announced it had signed a binding agreement to earn a majority interest in the 4,949 hectare in the Bramaderos gold-copper concession, located in Ecuador’s Loja province. The concession is considered to be highly prospective for the discovery of large volume copper-gold systems, with excellent potential to host a world-class discovery. The acquisition and exploration strategy is in good hands, driven by the team behind the giant Tujuh Bujit and Cascabel copper gold discoveries. The partnership is with Cornerstone Capital Resources — a previous, and successful, JV partner of AVI’s. The two have worked together on other projects in Ecuador and are hoping to repeat their previous discovery successes. Below you can see the distribution of mineral deposits in Ecuador, including those at Bramaderos in Loja province. Bramaderos has been sporadically explored in the past, finding porphyry-style gold-copper mineralisation mainly associated with quartz veins stockworks and breccias hosted by a north-east aligned cluster of potassic altered quartz-diorite porphyry intrusions. That is all set to change as some big mining names have moved into the region. As you can see, AVI is in good company and should it earn its majority interest could have a significant project of its own. In the central part of the property, an extensive 5 kilometre by 1-2 kilometre gold and copper (+/- molybdenum) multi-element soil geochemical anomaly has been partially tested by trenching and diamond drilling with very encouraging results. Several zones remain still to be followed up. Historical drilling results include wide intervals such as 260m at 0.6g/t Au and 0.14% Cu. Trenching results at the West Zone breccia include intersections at surface of up to 42m at 3.7g/t Au. AVI has already identified several near drill-ready targets. On this map of the property’s geology you can see extensive alteration and distribution of stockwork zones associated with intrusive centres. You can also see the sealed Pan American highway in black. Historical exploration results from the property, combined with the distribution of alteration and large coincident gold-copper-molybdenum surface anomalies, indicate that Bramaderos is in a fertile mineralised system with significant discovery potential. The AVI team has previously been involved in discoveries with Intrepid Mines (ASX: IAU) and AIM listed SolGold which have operations in Ecuador. 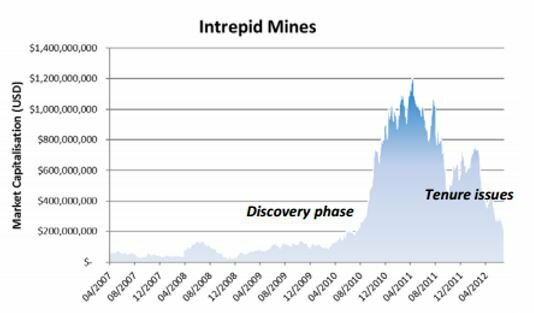 As you can see, patient early investors in Intrepid Mines and SolGold were rewarded by sticking with the companies through their development stages. The past performance of this product is not and should not be taken as an indication of future performance. Caution should be exercised in assessing past performance. This product, like all other financial products, is subject to market forces and unpredictable events that may adversely affect future performance . With a competent and proven team managing the exploration, combined with promising geology and historical results, there’s good reason to be optimistic about AVI’s ability to firstly confirm large-volume gold and copper mineralisation, then bring the project to production. Of course, there are no guarantees of success and it does remain a speculative stock at this stage. Investors should take a cautious approach to their investment decision in this stock. Whilst all eyes are on how its work at Bramaderos pans out, AVI is still working diligently at its two other projects: Viscaria and Satulinmäki. Following our previous article, AVI raised $2.5 million from an oversubscribed share placement to further its development ambitions. Most of these funds have been put towards the (currently underway) drilling at the Viscaria Copper Project (which we’ll come to shortly), which is following up on high grade copper that was previously intersected outside of the existing mineral resource boundary, along with obtaining the environmental approvals that are needed to advance the project to development. The funds were also earmarked to go towards geophysical surveys and drilling to follow up on high grade results at the Southern Finland Gold Project’s Satulinmäki Gold Prospect. The results of those geophysical surveys are now in and highlight the potential for a large gold system at the Satulinmäki Gold Prospect. A large Induced Polarisation (IP) geophysical survey was completed at Satulinmäki from January to April, 2017, to define areas of altered host rock within which gold mineralisation was expected to occur. The survey delivered outstanding results, enabling Avalon to undertake focused targeting of other potential gold-bearing zones in the project area. 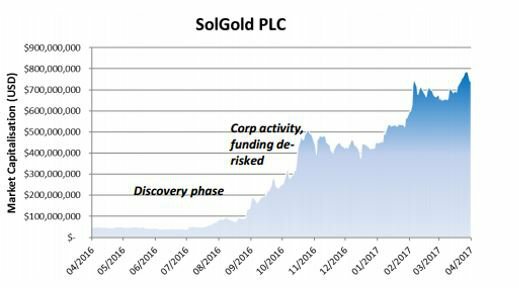 Geophysical mapping of interpreted sericite alteration and distribution of sulphides, both known to be associated with gold mineralisation from drilling, has shown two main trends. The first was the main Satulinmäki gold trend — which earlier drilling had outlined over a ~300m strike length — has been extended to 1.2 kilometres by the IP survey to significantly expand the gold target. The second main trend is new northwest trending zone prospective for gold measuring 800m long. Additionally, the survey defined subordinate trends to the south of Satulinmäki, each up to 400m long, along with subtle trends to the north of Satulinmäki showing both east-northeast and northwest patterns. 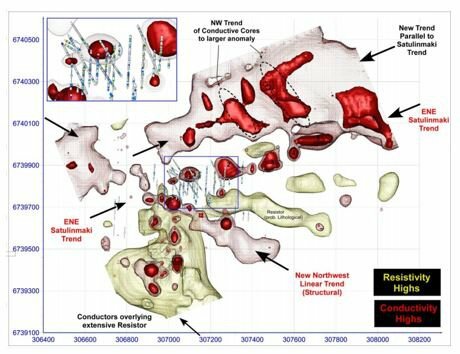 Conductivity results identified discrete anomalies that coincide with the high-grade intersections delivered by holes such as SMDD007, 23.5m at 3.3g/t Au, including 9.2m at 7.3g/t Au, and explained lower grade results such as that seen for hole SMDD006. Chargeability results, which are interpreted to map the sulphides commonly associated with the gold mineralisation, demonstrate significant vertical extent to well beyond the depth of previous drilling and to at least 300m below surface. 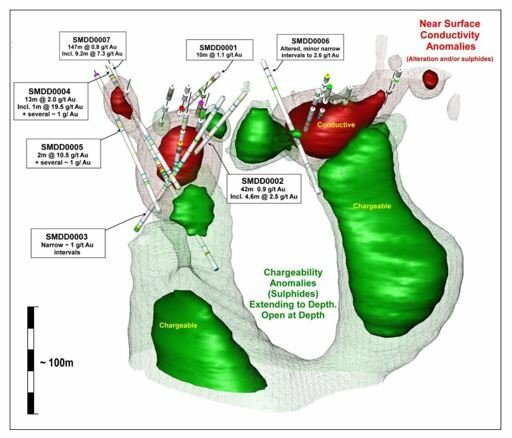 This 3D image of the drilling area shows the considerable depth extent of chargeability anomalies that may be related to gold mineralisation. As you can see from these results, Satulinmäki is rapidly emerging as a large gold system with considerable vertical extent. It contains a zone of strong gold intersections from drilling interpreted to extend for at least 1.2 kilometres to the north-east, plus other similar trends. More information around the project and its potential will come with the next drilling campaign. 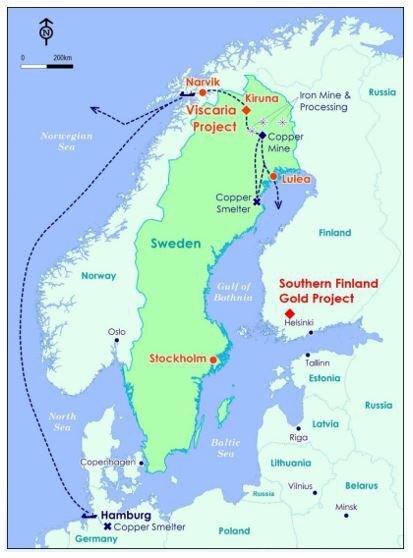 Another project with considerable exploration upside potential in AVI’s portfolio of metals projects is the Viscaria Copper Project, located in the world class mining region of Kiruna in northern Sweden. Kiruna is home to the world’s largest underground iron ore mine — Kiirunavaara, operated by a Swedish Government-owned group. 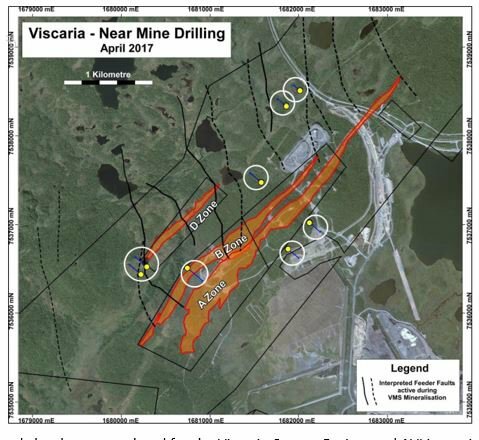 Here is a map of the Viscaria Project near Kiruna, along with the Southern Finland Gold Project. The project has been mined in the past and now AVI is looking to get it back up and running. Everything is going to plan so far, with the company announcing in early April that diamond drilling has commenced at the Project . This round of drilling is targeting ground that is outside the existing Mineral Resource Areas. First to be drilled, is the area immediately east of the A Zone orebody. 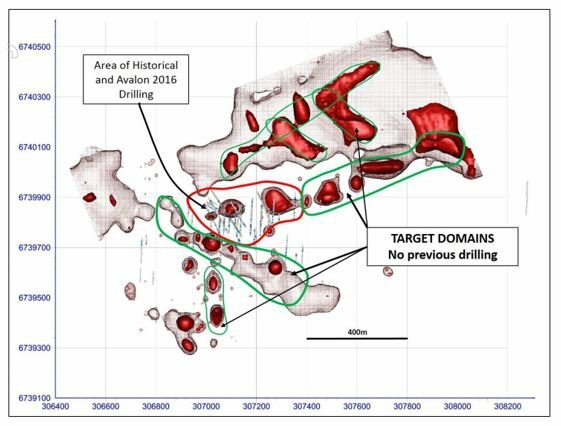 The drilling schedule will progress from the old Viscaria mine to the target — an interpreted northern extension of the D Zone ore body and then test the southern shoot at D Zone. Here you can see the same location showing the drilling relative to the old mine site infrastructure. 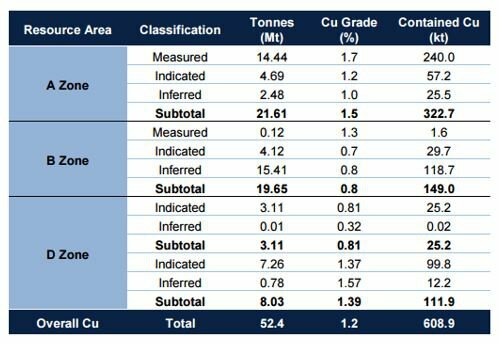 A scoping study has been completed for the Viscaria Copper Project and AVI is moving towards completing a Pre-Feasibility Study (PFS) and gaining permits to allow for mine development. The project continues to deliver very strong targets, reinforced by the latest round of geophysical surveys and technical studies. There have now been multiple targets with characteristics similar to those of the D Zone orebody defined as the company begins drilling with the aim of increasing its Mineral Resources. Results from the current drilling program will be released as assay results are received and assessed. With extensional drill targets defined, the project offers AVI — and its shareholders — considerable exploration upside with low technical risk. Assay results are just days away. Note that D Zone includes subtotals for its open pit Resources, and its underground Resources. 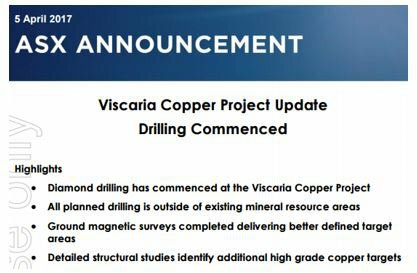 Viscaria is a highly promising and high quality copper project in a strengthening copper price environment. It would seem copper is one of the commodities of the hour. 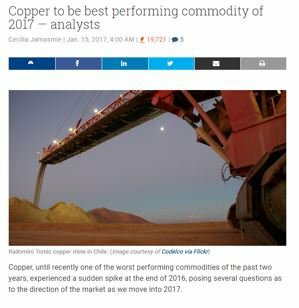 Copper prices have spiked sharply by around 20% since late last year, and all signs point towards copper continuing its upward trend. Demand for copper has been fuelled by Chinese imports and although import numbers have dropped off recently China still consumes close to half of the world’s total copper production. However, it should be noted commodity prices do fluctuate and caution should be applied to any investment decision here and not be based on spot prices alone. Seek professional financial advice before choosing to invest.A Goldman Sachs analyst commented on the market, explaining that “although it is tempting to blame this on speculative positioning, the materially stronger fundamental developments that contributed to this surge in speculative interest are likely to underpin a more bullish environment for copper”. That’s the type of news AVI want to hear. We can expect considerable volumes of newsflow to continue from AVI through at least the rest of this year as its exploration pursuits continue at its multiple Scandinavian and South American projects. Assay results are due imminently from Viscaria with drilling to continue on multiple near mine targets through June. Meanwhile, AVI is looking to continue its drilling at Satulinmäki, with a goal to establish continuity of mineralisation. Finally, drilling will commence at Bramaderos as soon drill permits have been received. Backed by an improving commodity price environment and with its operations diversified across metal types, this small-cap explorer offers numerous potential opportunities to reward shareholders as its projects progress through towards its goal of production and commercialisation.